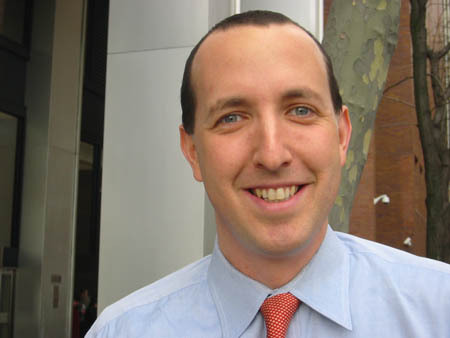 Ben Wizner is director of the ACLU’s national Speech, Privacy and Technology Project, and is a legal advisor to Edward Snowden. He has visited Snowden in Moscow and communicates with him over encrypted channels. Wizner was in Seattle recently and spoke to KUOW host David Hyde on “The Record” about privacy in the digital age. Wizner pointed that legal protections for privacy have been outpaced by rapidly developing technology. Surveillance capabilities used to be limited by cost and involved following someone around or tapping their phone. But now the NSA and law enforcement agencies are collecting as much information as they can and keeping it for as long as they can. “A digital footprint stays forever,” he observed. And he explained why “metadata” that reveals with whom one communicates can be more valuable to the government for its surveillance purposes than even the content of what was said. However, Wizner is encouraged that people are debating and talking worldwide about surveillance and trying to find a balance between the benefits of technology and our freedoms. You can listen to the interview at http://kuow.org/post/aclus-ben-wizner-how-snowden-leaks-changed-privacy.